“Hi all! The ACDA asked me to launch the Giving Bean fundraiser… I’m so excited to share with you this fundraising opportunity for those of us who live in the United States. We hope to include our international families in the future if Giving Bean expands to ship internationally (they assured me they will be working on it). Giving Bean is a gourmet coffee roaster providing a variety of freshly roasted whole bean and ground coffees, fine tea, gourmet cocoa, chai, and biscotti. •All coffee is roasted-to-order and arrives fresh, assuring its great taste. •Prices are $12 per bag of coffee and tea, comparable to other high quality coffees and teas. We will earn 25% for every item sold! So many of us are looking for gift ideas for family, friends, teachers, coaches, etc. Why not give the gift of coffee or tea?! Please share this link (http://www.givingbean.com/store/home.php?partner=4005f) with your friends and family! Ask them to share it too! When you click on it, it will take you directly to our ACDA supporter page. 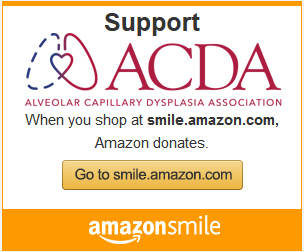 Any purchases made through this link will go to the ACDA. There isn’t an end date for selling. This link will stay active and will be great for repeat orders. Note: If you are interested in selling 50+ bags with additional benefits to the ACDA, please contact us at secretary@acdassociation.org for further details!